First Ferguson, Now Baltimore, Will Baltimore Burn? Things are heating up in Baltimore this afternoon. As you listen to these people talk over the loud speaker, remember, it’s not just the black community that is being terrorized by America’s new police state, it’s all of us. How much more will the American people endure before this turns into violence? I have included three videos and a Live Feed below from today’s protest. Listen to the anger and resentment toward the law enforcement people who are monitoring the protesters. 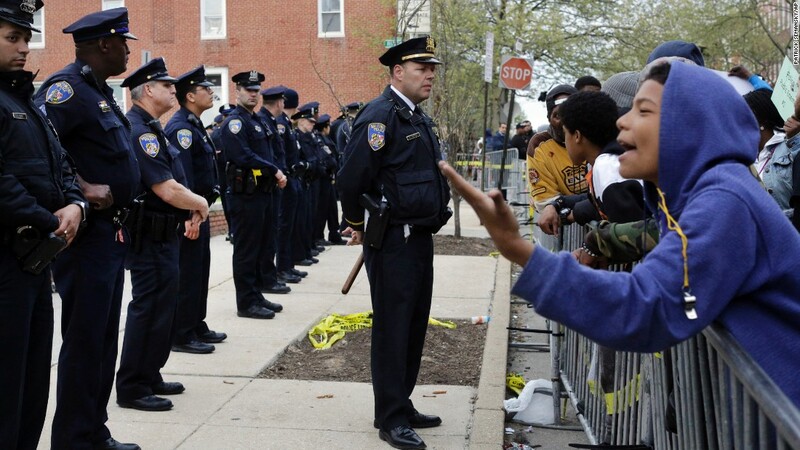 Could it be just a matter of time before Baltimore turns into the next Ferguson Mo? I will be posting new videos all weekend from the protests as they become available. You can check my new stories page Here!